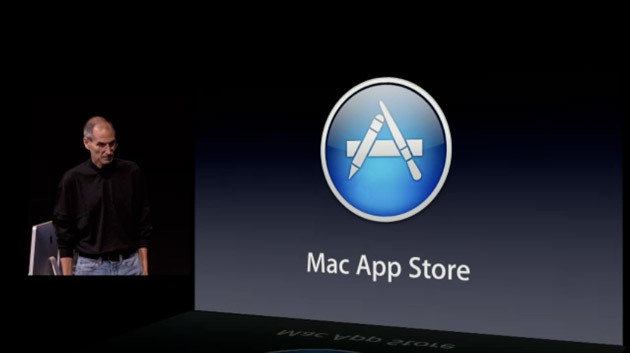 There will be a Mac App Store in Mac OS X Lion. It will be much the same as the current App Store found in iOS devices. It will open in 90 days. 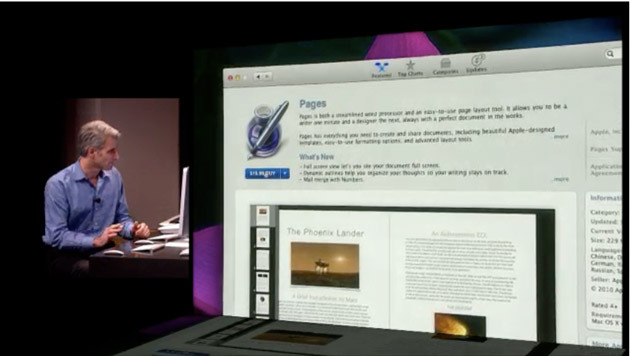 Apple says the various Apps will be managed in something called the Launchpad. There will be a 70/30 split between free and paid Apps. It will essentially be the same thing for developers, too, warts and all. Apps will download and install within seconds. Pretty great, actually. 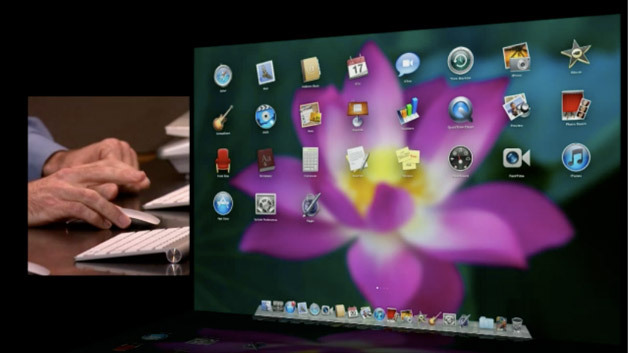 And this is the Launchpad, which replicates the functionality of your home screen on your iOS devices. All your Apps lined up in a row. One click to launch.